There must be days when those at BMW’s M division wish the E30 M3 had never seen the light of day. That boxy slice of ’80s motoring perfection is rightly regarded as one of the best drivers’ cars ever made, but it’s also been a millstone around the neck of any subsequent compact saloon or coupe wearing the M badge. Heavier and lacking the original’s competition pedigree, these later machines were great, but not always the greatest. There was often a caveat or two that kept them from being considered among the pantheon of all-time performance car heroes. And in the case of the F82 M4, the critics had a point. 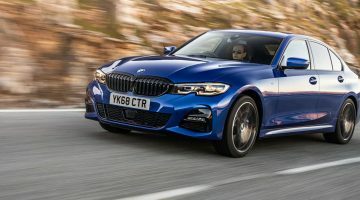 When it landed in 2014, it was the first two-door 3-series to ditch the M3 tag and, most shockingly, it abandoned natural aspiration in favour of turbocharging. With its muscle-ripped bodywork, gaping vents and thuggish stance, the F82 was the most convincing looking ‘small’ M-car since the E30, but that forced- induction motor meant it flattered to deceive. Performance wasn’t a problem – 425bhp and 406lb ft saw to that. It was the brutal torque delivery that really upset the applecart, often overwhelming a chassis and steering set-up that weren’t the greatest communicators. Driving the M4 with any sort of intent in slippery conditions was often a journey into the unknown as the car would break into wild wheelspin and snap-slides at the merest drop of a throttle pedal. Case closed on the M4, then? Not so fast. Since its launch, BMW has constantly tweaked the M4 (and the M3 saloon), culminating in this, the 2018 Model Year M4 Competition Package. 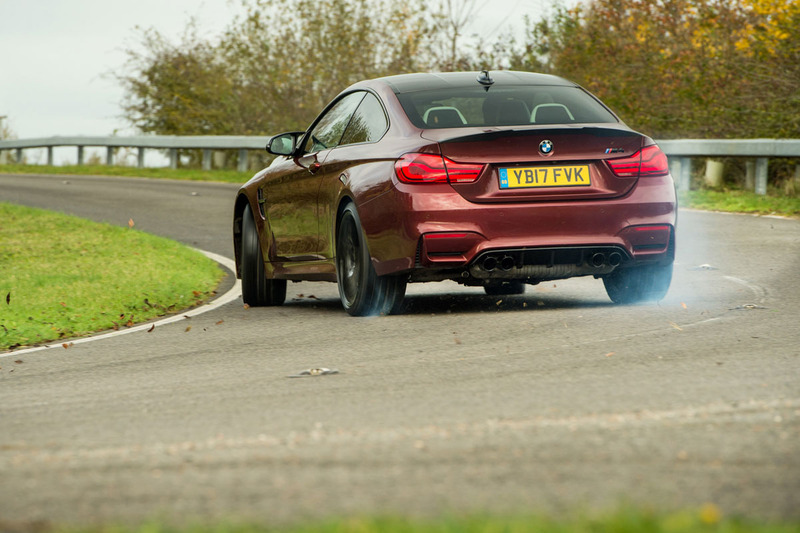 A big part of the M4’s redemption can be traced to that Competition Package, which runs to stiffer springs, recalibrated adaptive dampers, a remapped rear differential and 20-inch alloy wheels. Power is also increased, by 19bhp, but the muscle-bound torque peak remains unchanged. In isolation, these changes don’t look like a lot, but in combination with the M division’s relentless fettling, they combine to make the M4 something of gem. Start to work the car harder, though, and its qualities shine through with almost dazzling brilliance. That turbocharged engine is a corker, for starters. There’s still lots of low-down torque ready to unsettle the chassis at the flex of your right foot, but it’s more predictable and progressive than before, which allows you to make the most of the prodigious performance. It pays to push on, though, because the engine revs with an almost naturally aspirated enthusiasm, getting stronger and stronger as it howls towards the 7000rpm red line. Yet it’s the suspension tweaks that have played the biggest part in the M4’s turnaround in fortunes. Combined with near-perfect weight distribution (front to back and side to side), the result is a beautifully judged handling balance. Put some real load through the BMW’s chassis and it rewards like nothing else this side of a dedicated track car. The leaf- and grime-smeared roads used for our eCoty shoot would have brought me out in a cold, clammy-handed sweat in the original M4, but in the Competition Package I’m drawn into hustling it with the level of confidence you’d normally reserve for a hot hatch. 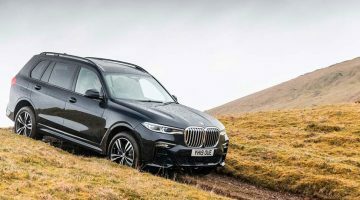 The steering still lacks that final degree of feedback, but it’s meatily weighted, precise and connected to a front axle that bites with real conviction. The strong grip allows you to lean hard on the front, while the combination of a far more predictable rear end and smoother power delivery allows you to trim your line at will on the throttle. The damping is pretty much spot-on, too. 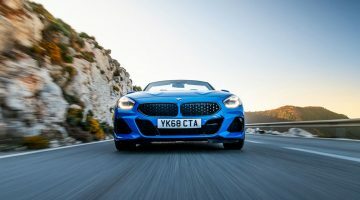 The low-speed ride is firm but never uncomfortable, while upping the pace reveals tight body control that allows you to attack crests, dips and sudden bumps with real conviction, never fearing the car will be knocked off line or run out of answers. As seems to be the fashion these days, there are virtually limitless combinations of driving settings to choose from, and, like Alice falling down the rabbit hole, you can lose yourself in a bewildering world of almost endless set-ups. Yet find your perfect combination (I settle on Normal for steering and damping, Sport for the throttle) and you can program it into one of the steering wheel’s two ‘M’ shortcut buttons to access the BMW’s talents the instant the road ahead opens up. As Adam Towler concludes: ‘It’s completely bemusing that this is based on the same M4 that used to be such a disappointment. The Competition Package car couldn’t be more different, to the point where I felt entirely comfortable driving around in it with all the stability systems switched off, enjoying the challenge of measuring out the engine’s delivery, but not fearing the unexpected.’ It really is that good, the M4 Competition Package. In fact it’s good enough to mention in the same breath – whisper it – as the E30 M3.